Milk is the ideal food for your baby that will supply to your baby the basic nutrients and necessary minerals and vitamins in the first six months. Breastmilk has immense benefits for both the mother and the baby but if you choose bottle feeding, your baby will still thrive. Feeding is the core part of a baby’s growth and development so it is important to choose a method which is suitable and convenient for both the mother and the baby. Read about easy bottle feeding tips. When mothers intend to return to work soon after birth, they can choose the freedom of bottle feeding. All the mothers are capable of breastfeeding and they should try to do so. In case, they decide not to breastfeed the baby, they should not feel guilty. It is also possible to express enough milk so that the partner or the caretaker can feed the baby in absence of the mother. This way the baby can get the benefits of the breast milk and the mother can have the flexibility of bottle feeding. Fathers should also share the feeding equally so that they can learn to handle the baby more confidently. They can follow these easy bottle feeding tips. Once you make your decision to bottle feed, do not feel guilty and stick to your decision. Majority of babies shift to the bottle feeding at some or the other stage often after weaning. 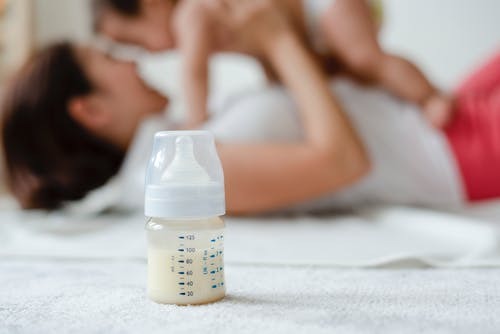 To make the bottle feeding as convenient as breastfeeding, there is a wide range of different feeding bottles, teats, new infant formulas are available in the market. Make sure you provide the same attention and closeness to your baby at the feeding times as you would have done while breastfeeding. The new father can get involved as same as the mother during the feeding times. Partner should feed the baby right after the birth to get used to the feeding techniques. 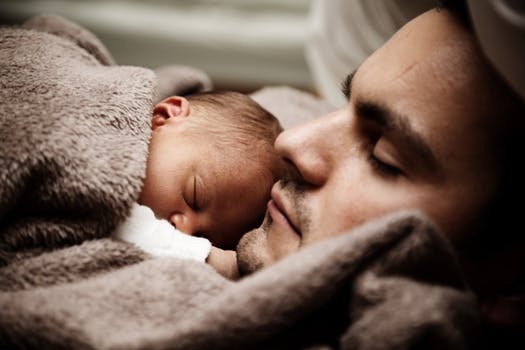 A baby feels happiest next to your skin when he feels your warmth and hears your heartbeat. 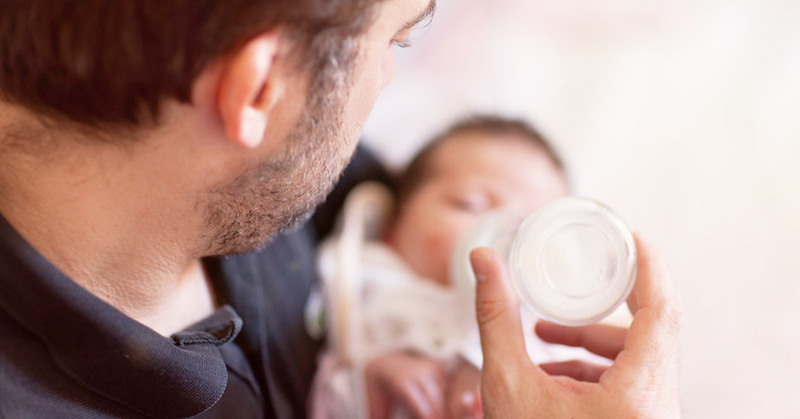 So, it is advised to the fathers to open their shirt while offering a bottle feed so that the newborn baby gets the same touch of the skin and bonds with his father’s smell. 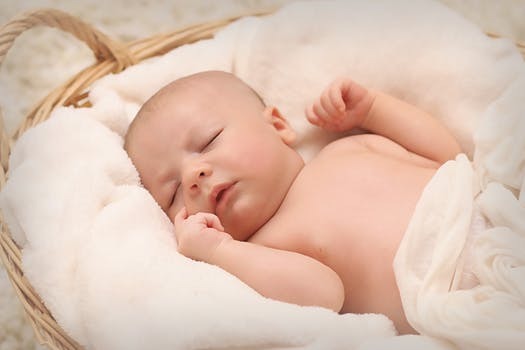 Also Read: How to create bonding with a newborn baby? 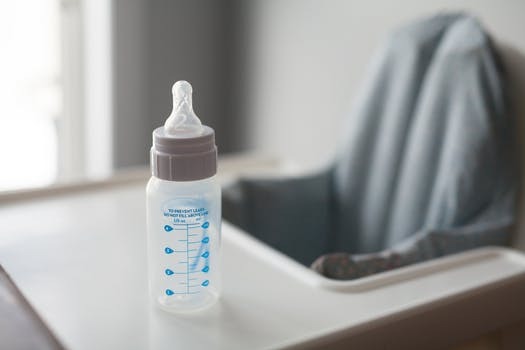 Bottle feeding is simple and straightforward, make sure your baby does not take in the air with milk and is able to swallow properly. Always cuddle with affection while giving bottle feed, maintain the closeness as similar as in breastfeeding. Never leave the baby alone with the bottle on a pillow or a cushion. Swallowing a lot of air with the feed could make him choke. Avoid giving him feed if he is lying flat, hold him and tilt him a little on your arm to make the swallowing easier. If the baby has a blocked nose, use nose drops prescribed by his doctor before giving the feed. This way he can breathe and swallow properly. If you think your baby doesn’t like the taste of the formula milk, do not change it without taking the medical advice. Cow’s milk causes allergies in some babies, so it is always advisable to consult the doctor before giving any other milk. Once your baby stops sucking, do not force him to have more as he knows how much he needs. Formula milk takes longer to digest than breast milk, so bottle-fed babies tend to be fed less frequently. Do not feed the baby with the clock, let him determine his hunger by crying. Usually, breastfed babies take seven feeds a day and bottle-fed babies take six feeds a day. Newborn babies do not take much over 60 ml (2floz) at each feed. Appetite may vary as he grows. He will take fewer and larger feeds. 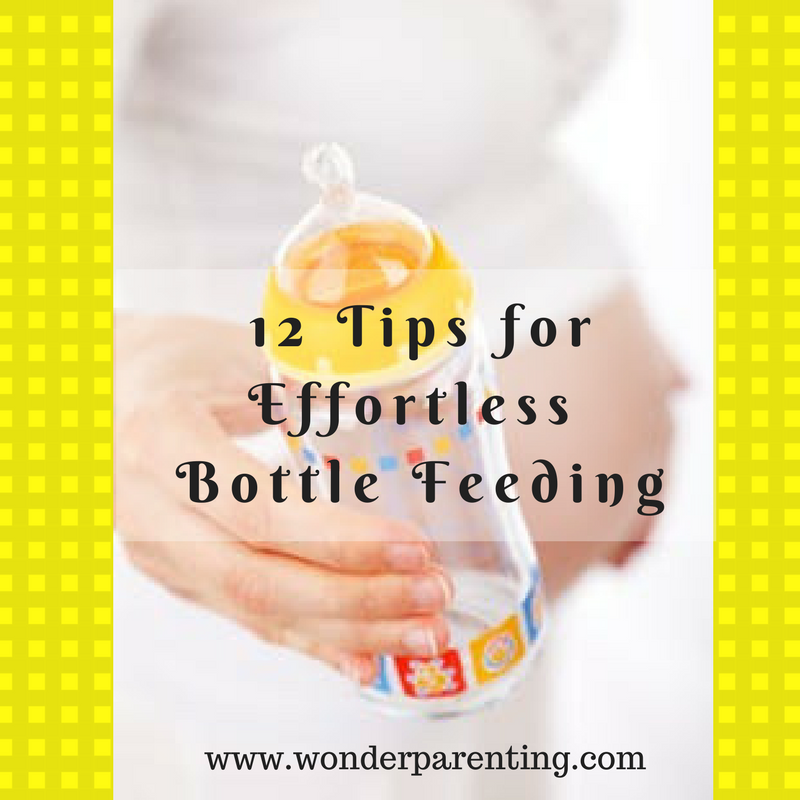 Have more easy bottle feeding tips to add that worked for you and your baby? Please share with us your easy bottle feeding tips in the comments section below. Wish you a very Happy Parenting and Bottle Feeding!